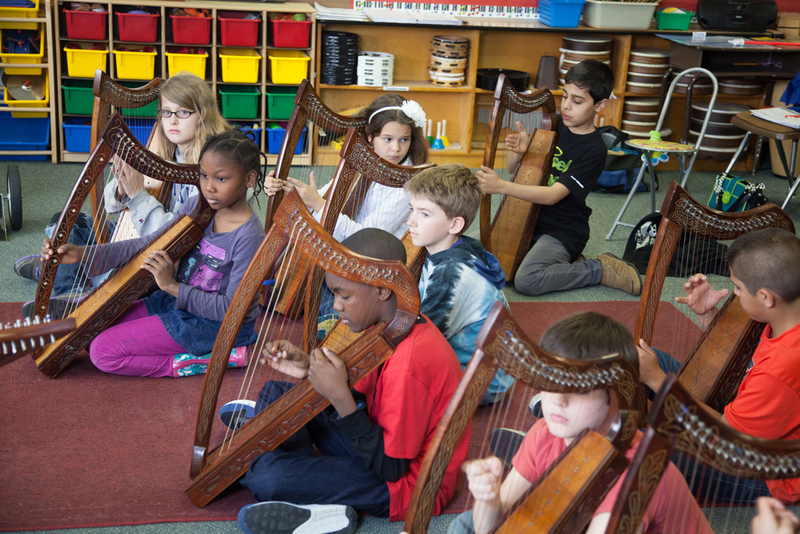 A half day with Holly's Harps comprises assemblies only. You may schedule up to three assemblies in the half day (morning or afternoon). See the Descriptions link for details about assemblies. 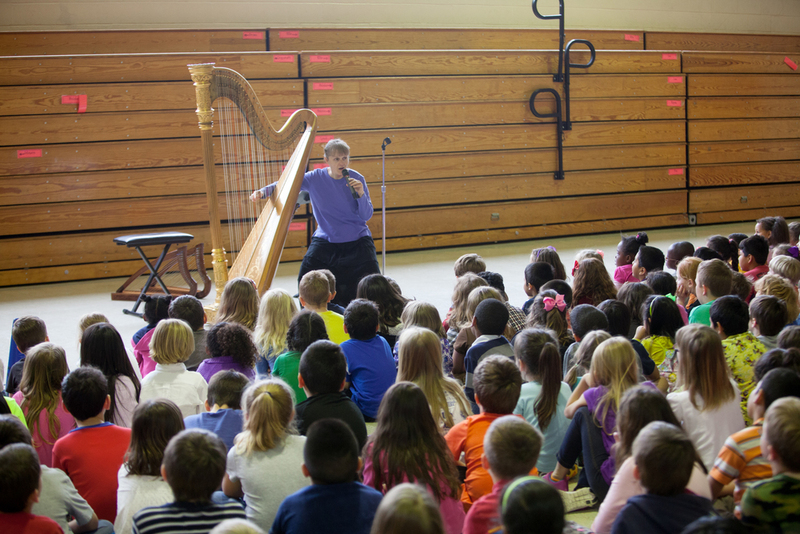 A Full Day program can include every child in your school in one or more harp-related activities. A full day includes both assemblies and hands-on workshops. See the Descriptions link for details of these activities. Typically, the day begins with two or three assemblies to serve different age groups, and continues with workshops. A Multi-Day Residency is a great way to give every student a satisfying hands-on experience, while also providing very special opportunities for pre-selected Core Groups. You can plan a residency to meet the needs of your children and your community, including families and friends of all ages. See the Descriptions link for details and suggestions for Residency themes. Sessions for libraries, senior communities, facilities serving special populations, and First Night programs. See the Descriptions link for an exciting program for your community.